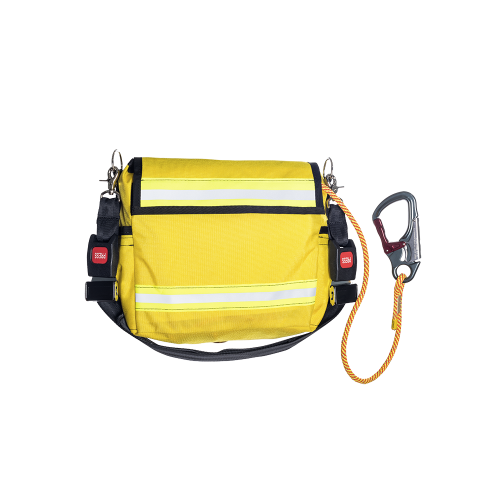 Search kits are an integral tool for fire departments performing large area search. The kit comes standard with our highly-reflective SearchLite rope. Large snaphook on one end allows for connection to substantial objects, while the small snaphook secures the rope to the bag. Sterling Search Bag w/ quick release buckles, reflective trim, and side pockets.